Right from birth, this baby was sick, in trouble. “Her mother immediately asked for prayer and was very optimistic,” Kathie Knehans, then a chaplain at Children’s Mercy Hospital told me. So Knehans prayed with the family. And even when no family members were present, Knehans, now retired, visited the child and prayed. When the still-hospitalized infant reached 9 months old, it was clear she wouldn’t recover. So hours before she died, the parents asked Knehans to arrange to take the little girl outside, where she’d never been. Like chaplains all over greater Kansas City, Knehans was finding ways to comfort families in crisis. Here and around the country there are chaplains in hospitals, hospices, industries, the military, police departments (the Kansas City Police Department lists eight chaplains it uses), mental health units, prisons, even race tracks. 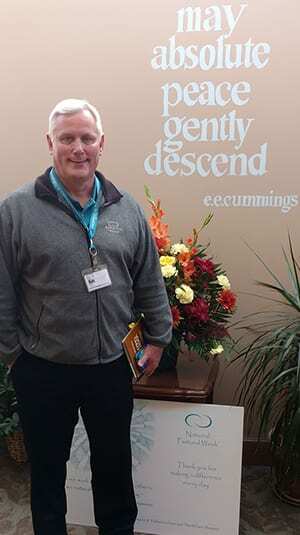 “I think our role is to help people find peace,” says Joel Carmer, a Kansas City Hospice and Palliative Care chaplain. Jeffrey Howard, who oversees chaplaincy services at Truman Medical Center, says his job is mostly listening. When he’s talking, he says, it’s just preparation for more listening. 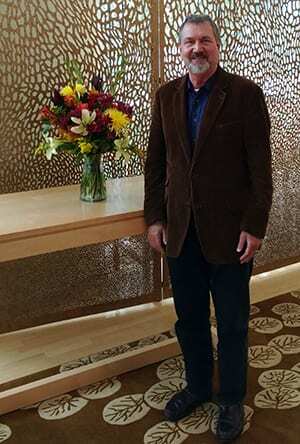 Dane Sommer of Children's Mercy Hospital pictured the hospital's interfaith chapel. Once he was ministering to an atheist who, ironically enough, “just adored having me in there,” he said. One day the atheist asked Howard to pray for him: “I said, ‘I’ll be glad to pray for you. But why do you want me to pray for you?’” The man just said, “Do your faith.” So that’s what Howard did. Chaplains come from many faith traditions. 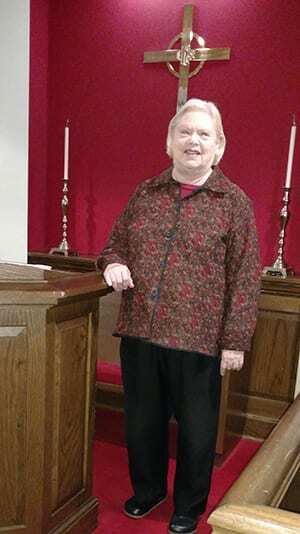 Knehans is a Presbyterian pastor, Sommer is ordained in the United Church of Christ, Carmer in the Community of Christ (formerly the Reorganized Church of Latter-day Saints) and Howard in the Church of the Nazarene. But there also are Jewish, Buddhist, Catholic and other chaplains trained to meet almost any spiritual need of the people they serve. The national Board of Chaplaincy Certification, an affiliate of the Association of Professional Chaplains, sets the standards for credentials. Not too many years ago, almost anyone could serve as a chaplain at a hospital or other institution, but now the rules are tighter. And that often puts chaplains in the center of family crises. Some find that emotionally draining. Others find it stimulating. But often the crisis has to do with death and being present when family members say farewell to a loved one. Once Sommer was in a hospital room with a Hindu family watching as a child was dying. They were, he said, performing Hindu rituals related to death but they said to Sommer: “We want you to come and say your (Christian) prayers here.” So he did. “Chaplains,” he says, “probably have a broader perspective and a broader engagement with issues of faith outside of our own personal tradition” than other kinds of clergy. In fact, chaplaincy work is both ecumenical (Catholics serving Methodists) and interfaith (Protestants serving Muslims). Which has the advantage of stretching chaplains intellectually and spiritually. Sometimes Carmer of K.C. Hospice runs into a family worried about the eternal destiny of the person dying: “They’ll say, ‘I’m really afraid that I’ll never see him again because I’ve been saved and he hasn’t been.’ That is the most painful situation that I have seen.” In such cases, Carmer simply invites them to talk about the life of the person dying. Which is what chaplains do: They create a space in which spiritual healing and reconciliation can happen, and the world is more peaceful because of it. 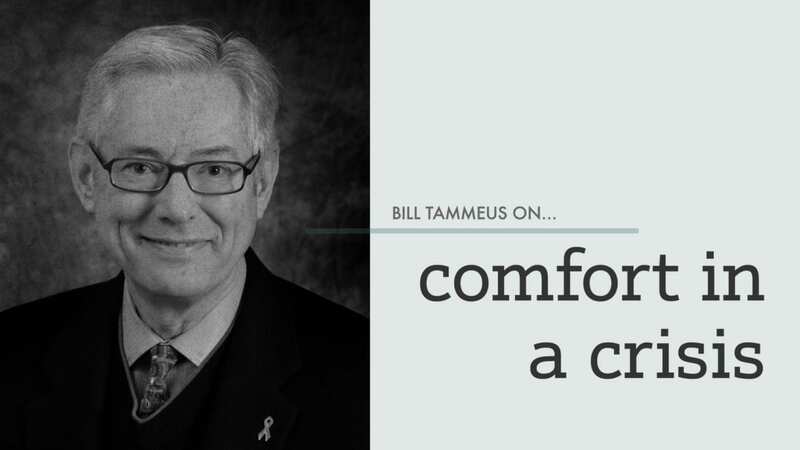 — Bill Tammeus, a Presbyterian elder and former award-winning Faith columnist for The Kansas City Star, writes the daily “Faith Matters” blog for The Star’s website and columns for The Presbyterian Outlook and The National Catholic Reporter. His latest book is The Value of Doubt: Why Unanswered Questions, Not Unquestioned Answers, Build Faith. Email him at wtammeus@gmail.com.